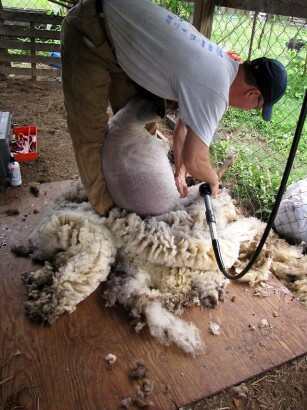 Since our previous shearer quit the business, we’ve been muddling along for a couple of years doing it ourselves. We’re not good at it. Believe me, that’s a massive understatement. It takes us forever, the sheep are a ragged mess, the fleeces are ruined, and I’m usually laid up for at least a couple of days afterwards. 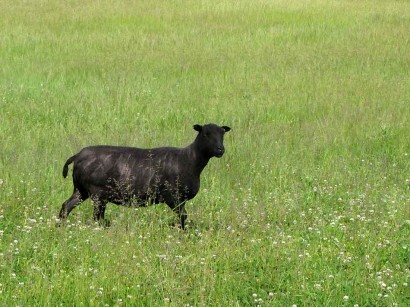 But my previous efforts at finding a new shearer had not meet with success. This year, however, we got lucky. VERY lucky. I put an ad on the Tennessee Valley Barter list and some kind soul passed it along to a shearer they knew, Charlie Meeks. He was nice enough to agree to come all the way from Florence, Alabama, and shear our little trio of sheep, plus take the ‘saddle blanket’ off our llama. Hooray, hoorah!!! So this past Wednesday he showed up, and in the time that it took him to set-up his equipment, shear 3 sheep and a llama, and get his equipment packed back up… well, we might have got ONE sheep done. Watching someone shear sheep that knows what they’re doing is like poetry in motion. Sheep Shearing Video Part I. . .
Sheep Shearing Video Part II . . . 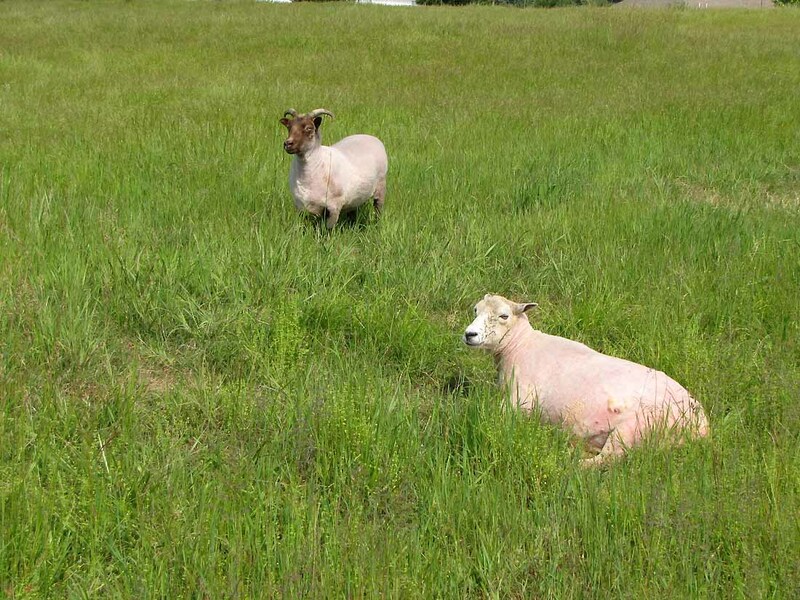 The sheep are sheared quickly, and it’s a nice smooth job. And at the end, there is actually a lovely, usable fleece! 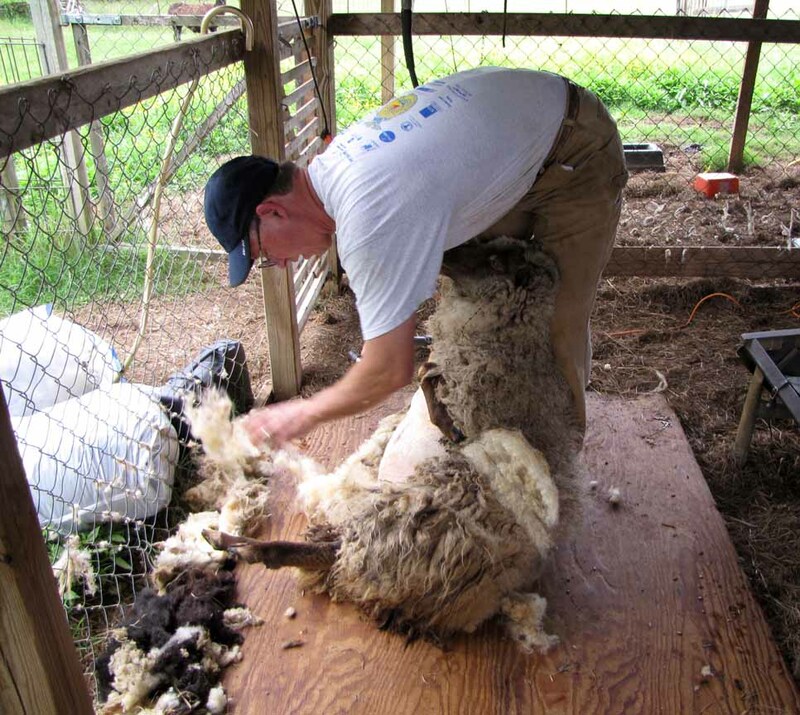 We had a nice cool day for shearing, but the weather is warming back up and supposed to be in the high 80s F. today. Whether they realize why or not, the sheep should be much more comfortable without all that wool! My other two naked ladies! And even the llama should be a little cooler, having got the last ragged bit of fleece removed. One good barrel cut for a cool summer! 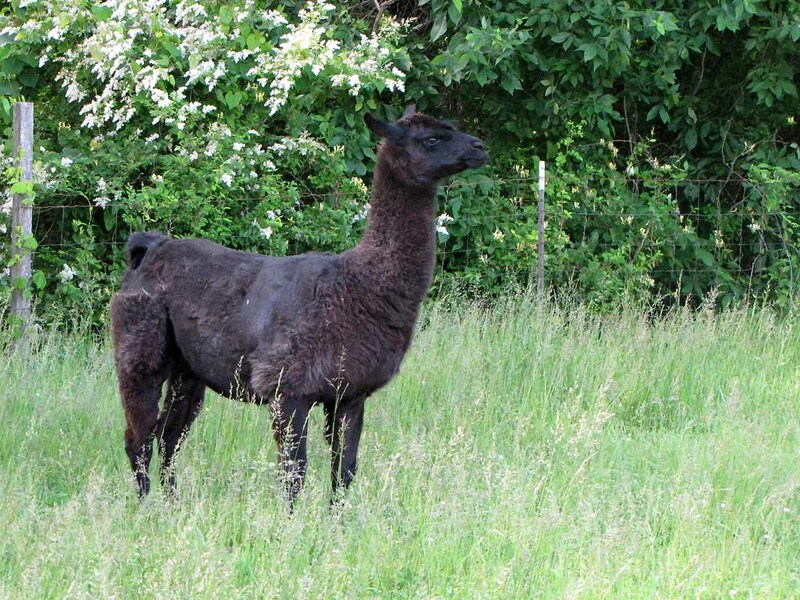 She had a tangled mess left on her back from losing her wool last fall after she was sick and lost her baby. The new wool growing in was the only thing holding it in place, but we left it in there over the winter to give her a little more warmth! Now she can start over with new growth, and not worry so much about the heat. It’s great to have one of the major spring chores done here.